A Canadian’s chance at winning Celebrity Big Brother 2019 is in jeopardy. Comedian Tom Green is facing eviction this week after being nominated by Ryan Lochte, the first Head of Household of the season. At Jonathan’s insistence Ryan also nominated Anthony Scaramucci and kept Dina Lohan off the block. Jonathan is friends with not only Dina but her daughter, Lindsay Lohan. “I am freaking out right now! I really came in here thinking I would fly under the radar for the first week and I am instantly not under the radar. My whole strategy is discombobulated but I am in it to win it. I am not giving up!” vowed Tom in the Diary Room. Ryan beat his alliance mate Jonathan in the HoH challenge that required them to swing and knock down blocks arranged in the shape of a billboard. As per the twist, because Jonathan lost to Ryan he is also on the block making it three people who face eviction on Friday. Ryan and Jonathan are supposed to be in an alliance with Kandi Burruss and Tamar Braxton but Ryan was very standoffish with Kandi about who he was going to nominate and why. “Ryan is being a little shady towards me. You can tell the other girls what you are thinking and who you are planning to put up but when I ask you, you are evasive about it? It makes me feel like when this alliance gets down to the alliance itself, then I will be the first one to go,” Kandi predicted in the Diary Room. On tomorrow night’s episode on Global the Power of Veto will be played. If Tom, Jonathan or Anthony win they will be able to save themselves forcing Ryan to nominate another player. Who gets the boot from the Celebrity Big Brother house? You’ll have to find out Wednesday, Jan 23rd at 8 ET/PT on Global! 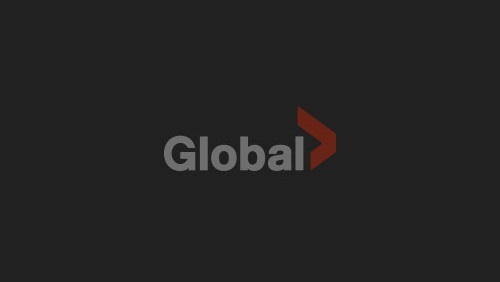 If you miss it, catch up on the Global TV app or GlobalTV.com!